With a solid steel frame that can support up to 150 kg, this installation system of the GROHE Rapid SL range will hold your basin safely. This way, leaning onto the basin while brushing your teeth is not a problem. Thanks to the GROHE QuickFix concept, it can be installed quickly and effortlessly, in front of a solid wall or inside a stud wall. 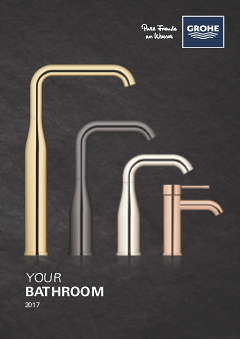 Designed for a single-hole mixer, it allows you to mount a single-lever mixer with a high, medium high or regular spout, taking the comfort of your bathroom to a new level.